Saving Iceland » Alcoa in Greenland: Empty Promises? 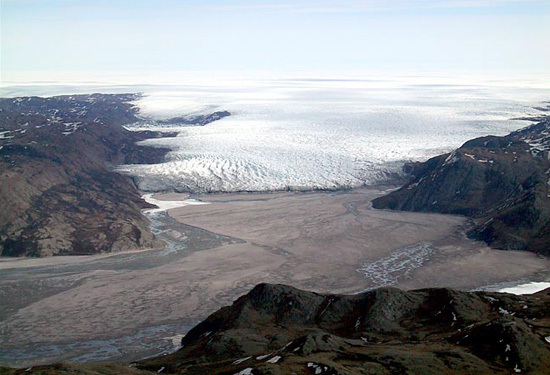 Alcoa in Greenland: Empty Promises? 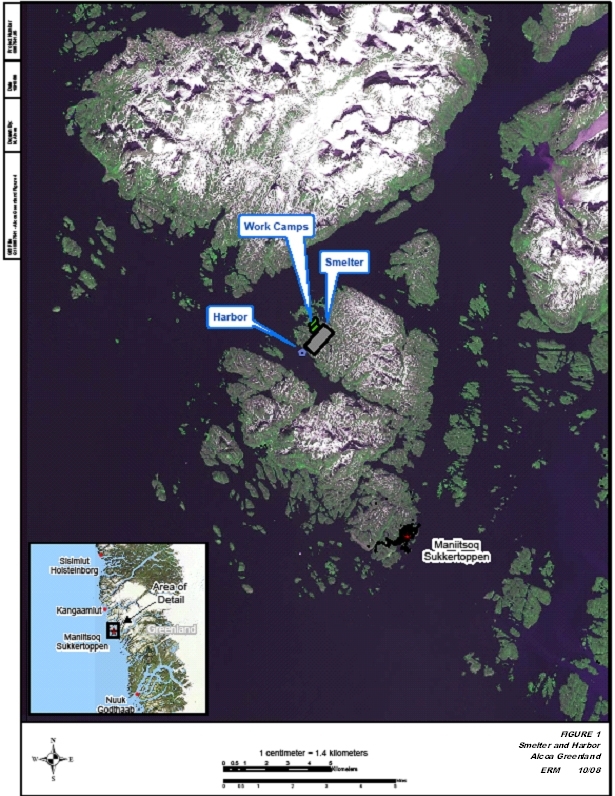 After many years of preparations the Greenlandic government say the final decision on Alcoa’s proposed smelter will be taken at the spring 2012 of the parliament. It is more likely, as the global history of the industry and the evidence in Greenland tells us, that the decision has in fact already been made undemocratically behind closed doors, despite the decreasing support of the Greenlandic people. In fact Alcoa and the Greenland government are so keen on passing the project that they have just hired an eighth employee at their national company Greenland Development- formed to enable the industry to go ahead. Juaaka Lyberth’s explicit remit is to influence public opinion on the smelter through the media. Greenland Development paints a rosy picture of an aluminium future for Greenland, but will their promises of prosperity come true? A comparison to Alcoa’s Fjardaal project in East Iceland suggests that many will not. “The aluminum project is a major project that will offer a large number of stable and lasting jobs.” says Minister for Industry and Mineral Resources, Ove Karl Berthelsen. Despite this claim Alcoa recently asked the Greenlandic government’s permission to use Chinese contractors to build the two hydro dams and smelter. Chinese workers would be paid half the salary of members of the Greenland Workers Union. 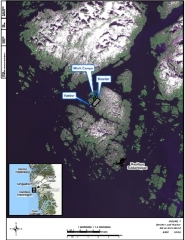 They claim this will be necessary to make the project competitive and that the Greenlandic labour force will not be sufficient. Greenland Development responded immediately to this unpopular news by sending out a press release explaining why competitiveness was so important. The release explained that since the financial crisis China has increasingly dominated the market for aluminium smelting due to their low cost of construction and production. Building a smelter in China costs $3000/ton of production capacity compared to $4500 – £5000/ton in Iceland or Saudi Arabia. Greenland is in direct competition with these prices and will have to provide very good terms for the company if they want the project to go forwards. ‘Good terms’ means cheap labour and foreign workers over Greenlandic contracts. However, the promise of jobs is usually cited as the biggest rationale for building such huge industrial constructions, and it is a very tempting one in economically deprived rural areas where smelters are often built. When the decision on the Fjardaal aluminium smelter and associated Karahnjukar dams was pending, the Iceland government made similar claims. They promised the Confederation of Icelandic Labour that the ratio of Icelanders to foreign workers at the dam construction site would be about 8:20, amounting to 3000-5000 jobs for Icelanders. In reality the construction company Impregilo only employed around 100 Icelandic workers out of 1100 employees at the site. Many of these workers were Chinese, Portuguese and other non EU nationalities. Impregilo claimed that Icelanders didn’t want the work as it was not as highly paid as they had hoped, and there was a high turnover. In contrast the Chinese workers were very stable despite tough conditions. Increasing company profit by using temporary low paid foreign labour is known as ‘social dumping’. The construction of the dams was plagued with controversy as it was revealed that foreign workers were being paid less than Icelanders and made to work in unsafe conditions without proper equipment. 1700 work related injuries were reported during the dam’s construction, 120 resulting in long term or permanent inability to work. Four workers are known to have died from injuries on the site . There is evidence that when the Icelandic coalition of unions became vocal about the treatment of workers in the press they were silenced by bribes from Impregilo who promised to pay into the union’s pension funds. A few years later it was revealed that the payments had not been made and the union (ASI) raised rights of foreign labourers again. Shortly after the funds were finally paid and ASI’s complaints ceased. National income from aluminium export? In reality, being ‘competitive on a global scale’ with countries such as China means selling energy and labour as cheaply as possible and providing tax breaks that make the project attractive to the company – minimising benefit to the host country. National unions of workers the Greenland Employers? Association and the Organisation of Greenlandic Employers have warned that the only income from the project in its first few years will be tax paid by its employees, and with much workforce coming from abroad on low wages this is likely to be very little. The government has also said that company tax should not be counted on for the first fifteen years, suggesting that large tax breaks have been given. In Iceland predictions that the smelters could be an economic drain and not a boost are increasingly being proven. Energy prices paid by the smelter operators were kept from the Icelandic public until very recently following a scandal when it was revealed that Century Aluminium had been paying a fifth of domestic prices – the cheapest energy for aluminium production in Europe. Prices for Alcoa’s Fjardaal smelter were accidentally revealed by then company Chairman Alain Belda when he claimed that Iceland was charging some of the lowest rates in the world, just $15 per MWh (megawatt hour). The deals they made link energy prices to the cost of aluminium so when the market drops the taxpayer can end up subsidising the companies rather than profiting from them. Two years earlier a report by Icelandic bank Glitnir warned that any benefit from large scale aluminium developments “is probably outweighed by the developments’ indirect impact on demand, inflation, interest rates and the ISK exchange rate”. Similarly economist Thorsteinn Siglaugsson claimed that “Kárahnjúkar will never make a profit, and the Icelandic taxpayer may well end up subsidising Alcoa”. A 2009 report by Economist Indriði H. Þorláksson concluded that the industry would have negligible benefits on the Icelandic economy, possibly causing long term damage, and should not be considered a way out of the financial crisis. Despite all of this evidence Greenland Development have dedicated another recent news article on their website to trying to disprove that Iceland’s crash had anything to do with the smelters. Though they admit that ‘high investment in construction also played a role which put pressure on the economy’, this was ‘hardly significant‘. Instead they claim that aluminium industry ‘has been crucial in earning foreign currency for Iceland during the crisis‘. In another article Greenland Development’s website enthusiastically claims that the aluminium price is likely to rise in the coming years due to demand for ‘green’ cars and solar panels and economic growth in Asia. Though this would somewhat increase Greenland’s chances of making a profit there is no guarantee of market stability, which has been very volatile in recent years. A critique of the concept of ‘green aluminium’ can be found here. Already there seems to be some degree of caution in Greenland about taking too much of the burden of construction costs and loans which caused so many problems in Iceland. The Greenlandic government is considering bringing in a third party to ownership of the project instead of taking the whole of the 50% stake they were offered by Alcoa. With three operating smelters Icelanders have had a good opportunity to assess the benefits of the industry which has been promoted as their economic saviour. A recent online poll by news outlet Visir revealed that only 13% of participants thought heavy industry was the most important area to focus on. Despite high level promotion of the industry’s benefits by certain sectors of the national leadership evidence shows that tourism and fishing are still the most important and growing industries for the Icelandic people. I am against environmental vandalism; although the proponents will claim that it creates jobs, etc. Unfortunately, the protests about workers rights often degenerates into racist rhetoric. Over here, in Australia, for reasons unknown, Chinese (and other yellow skin people) are particularly despised by those of the so-called progressive left, who considered them to be not full humans, and as sub-humans, are not entitled to human rights. Hence, mandatory detention, bashing and deportation of Indochinese asylum seekers, beginning in 1992, over a period of almost ten years, was considered to be humane, but mandatory detention of Muslims from Afghanistan, even for a short time, was considered to be barbaric. In Perth, Western Australia, several years ago, the persons caught with firebombing Chinese restaurants and homes was judged that this was not a criminal offence. This says it all. I’m writing about wages chinese workers will get in Greenland when they build Alcoa smelter. How has said that chinese workers will get half wage compare to greenlandian workers? The minister of Greenland Ove Karl Berthelsen sais chinese workers will get same salary/wage as greenlandian workers, so where have you it from that they will get half? Unfortunately the original link has gone dead now. I am doing a historical inetrnet search to get the reference for you and will email you personally. My thoughts with you in Greenland. Hope you can still stop this project before it is too late. There is so much at stake. You may be interested in the recent article on Saving Iceland on the damaging impacts of Karahnjukar dam and smelter now coming true in East Iceland.. When Government and Capitalists collaborate so closely on projects, both parties lose. The land should have been leased to Alcoa (or other party) to build the plant as they saw fit, which would have been the most efficient method. No labor promises or other complex agreements should have been made to the people of Iceland when selling the project. The people of Iceland should not be responsible for the economic impact due to the delay or failure of any aspect of the construction of any component of a project such as this. Private industry has business models to deal with these risks. A good lease should not be based on production level, profits, wages, or the price of aluminum, because the Capitalist will always get the upper hand on these contracts. A set fee land lease, paid in cash, is the way to go. Long term leases can be adjusted for inflation. The government would have been able to concentrate solely on writing and enforcing environmental contracts, without having to compromise because of political pressures. Once the original lease period ended, a new lease would have gone to the highest bidder, likely the same company.